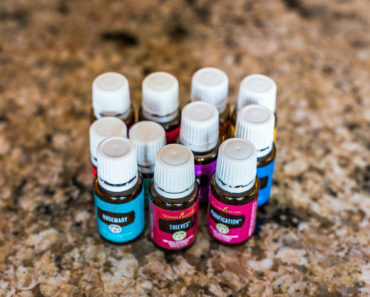 There are many ways to benefit from essential oils, but diffusing them is one of the safest methods compared with the higher risks of having a reaction from applying them directly on your skin or ingesting them. This guide was created for using ultrasonic diffusers. If you’re wondering what the heck is an ultrasonic diffuser and how is it different than other diffusers, you’re not alone. It can be very confusing with all the jargon. 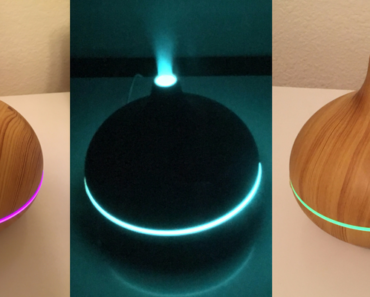 Ultrasonic diffusers diffuse oils into a nice mist while nebuilzing ones spray pure oils into the air. As you know by looking at salad dressing, oil and water don’t mix. 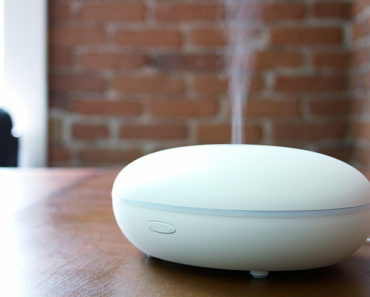 So it’s the diffuser’s job to mix the water and oil into a mist that will diffuse essential oils throughout the air. This type of diffuser uses ultrasonic vibrations to break the water and oil into micro particles that will be dispersed as mist. If you want to learn about how to use a nebulizer/atomizing diffuser, check out the guide here. If you’re wondering whether or not you have an ultrasonic diffuser, just see if it has a water tank or check the packaging and instructions. Choose and buy a diffuser if you don’t already have one. It can overwhelming to choose one out of the hundreds available, so here is a helpful guide on how to pick the diffuser that will fit your needs and bring you the most joy! Each diffuser has a water tank that is a different size depending on your model. The most common sizes are 100 ml, 150 ml and 300 ml. Many diffusers come with a measuring cup so you can precisely add the right amount of water. You want to be very careful to not overfill the tank past the recommended fill line. You should check the instruction guide that comes with your diffuser and follow the guidelines for filling the tank. Typically, you’d want to fill the diffuser to the highest recommended water level so it will really flow through the whole room, but you don’t have to max it out for the diffuser to work. If you are low on oils then you wouldn’t want to fill up a 300 ml tank and then only add 3 drops of oil because the scent will be so weak you’ll barely be able to tell the diffuser is on. So if you’re running low on oil, just reduce the amount of water you put in so the ratio stays the same. Use tap or distilled water, not mineral or sparkling water. Check the user manual of your specific diffuser first to see if there are any specific instructions on the type of water to use, but you can generally use tap or distilled water and be just fine. The number of drops you add will depend on the size of your diffuser water tank. The rough ratio to follow is 3-5 drops per 100 ml. You can vary from this depending on how strong you want the scent to be and how big the room is that you have the diffuser in. I’ve added 9 drops in a 300 ml diffuser and the scent stayed strong enough for me as it ran for 3 hours on heavy mist! If you run it for more hours then you’ll want to use more drops. Feel free to mix different types of oils for unique blends that cater to your taste. 7 drops of lavender and 2 drops of peppermint make a surprisingly nice blend. Time: You can often choose how many hours you want it to run before it auto shuts off. Bigger diffusers can go as long as eight or more hours. Mist Strength: Choose varying levels of how much mist you want the diffuser to produce from light to heavy. 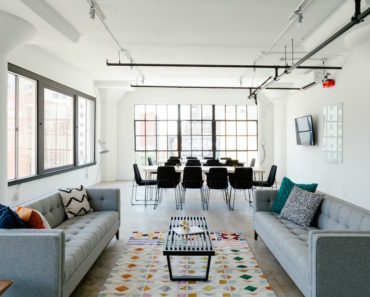 Color: If you have a diffuser with a glowing colored light feature in the design, then you can sometimes customize whether it displays a single color or rotates through many colors. After your diffuser stops misting and your room smells glorious, unplug it and drain the water tank properly so it doesn’t get moldy. Wipe down the tank with a soft cloth to soak up all moisture and make sure it’s dry. Some bloggers will tell you to clean out the diffuser after every single use. While this sounds like a great idea and something that would extend the life of your diffuser, it’s really tough for busy people to follow. However, if you’re sloppy and forget to clean it out for weeks or months then you can end up with a really grimey diffuser (ewww).Some diffuser manufacturers even say in the user manual that you only have to clean out the diffuser every 3-5 days. Here is a cleaning guide to learn more about how to keep your diffuser in good shape. Make sure to only use pure and high quality essential oils. If you buy super cheap oils then there are other synthetic chemicals blended in and these can damage your diffuser. Don’t turn on the diffuser when it has an empty water tank. That is a big no no and is bad for the diffuser. Fill it with water and oils before turning it on. Place your diffuser in a smart place. Make sure to think about where to put your diffuser. It should not be put on a carpet floor or anything that isn’t solid and stable. A flat table or counter is the best location. Also think about what to do if you have pets that could knock it over easily. If the diffuser tips over the water could get into places it isn’t supposed to be and break the whole thing. So look around your house and find a safe spot for it where kids and pets won’t knock it over. Don’t freak out if the level or strength of the mist varies between uses. If you haven’t cleaned it enough then it can have a lower level of mist. Don’t move the diffuser around to a different location when it’s in use. This can cause the water to move or spill and potentially ruin your diffuser. Now you’re a pro when it comes to using a diffuser! Have fun trying different blends and enjoying amazing scents wafting around your home.